Panruti is a town, municipality and taluk headquarters of Cuddalore district, Tamil Nadu, India. 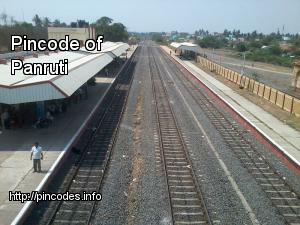 Panruti is located between Cuddalore and Viluppuram. Panruti is famous for jackfruit and cashews. The jackfruit grown here is exported worldwide and is very sweet. It is a business center of Cuddalore district. It has been a great commercial area for more than a 200 years. 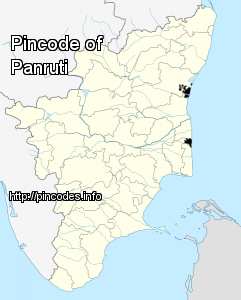 The name Panruti came from pan meaning song and ruti meaning music in Tamil, as the place is where many saints and great religious singers such as nayanmars and vainavas sung. A 150-year-old government school was built here by the British East India Company and a more-than-1000-year-old temple Veeratteswarar temple is nearby in Thiruvathigai. As of 2011, the town had a population of 60,323. The city-based company has received 1,700 claims from Chennai, Cuddalore, Thiruvallur and Kancheepuram districts.